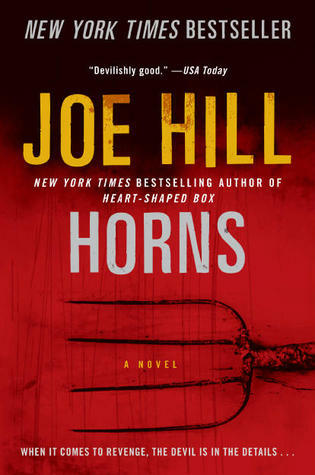 I read 5 books this April… not horrible but one of them was a short (very short) story.. but I do have an excuse for this.. NHL Stanley Cup Playoffs have started! This is one of my favourite times of the year. I love playoffs. And so I have spent a lot of my usual reading time, building my bracket and watching hockey. But enough about that.. here is my April Read List. I reread this book.. for the 3rd time. I love it. It is fun and epic. I love journeying with Bilbo, The Dwarf’s, and Gandalf the Grey. I read this book for the first time when I was about 8 and it was my dads copy.. It is a reliable book that I know I can read and reread whenever I need it. And the riddles between Gollum and Bilbo are amazing. One of my favourite scenes in a book. I don’t even know what to say about this short story. One day it showed up on my kobo.. I don’t know where it came from but there it was (Kobo partnered up with Tash Aw to write this to give to Kobo’s loyal users.. I appreciate that but not the story.) and so I figured ‘Why Not..?’ and it was not very good. I won’t be recommending it to anyone.. 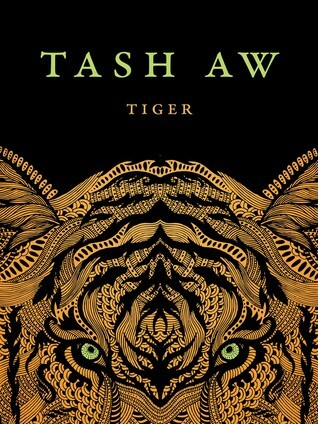 I have heard that Tash Aw is a great story teller.. I just could not get in to this story. Maybe I will try something else of his in the future. But that cover is absolutely beautiful. I sooo badly wanted to love this book. The plot sounded soo interesting. And the fact that the presence of the horns made Ig hear the deepest thoughts of whomever he was around was spectacularly hilarious.. I just did not enjoy this book. I can’t even think of a good reason. The writing was good, the plot was quite interesting.. it just was not for me. I LOVED THIS BOOK! Seriously, anyone who hasn’t read the Daughter of Smoke and Bone trilogy (and one novella) by Laini Taylor, should. Right now. Get on it. Her writing is lyrical and dreamy. The world that she made up is stunning. Her characters are flawed but beautiful. I devoured each book in this trilogy.. and the 17 month wait between books 2 and 3 was horrible. I can’t say enough good things about Karou, Akiva, Liraz, Hazael, Zuze, Mik, Ziri.. and the whole gang. This is a fantasy book with a little bit of romance. No love triangle. There is action and adventure.. and CHIMAERA! That was my initial selling point for this book.. Chimaera are awesome. This is book 2 in the Lunar Chronicles… There are a lot of different retellings of fairy tales.. and this is probably one of my favourites. Book 1 is Cinder.. loosely based upon Cinderella.. but as a cyborg in the future. It sounds out there.. but it works. It really truly does. 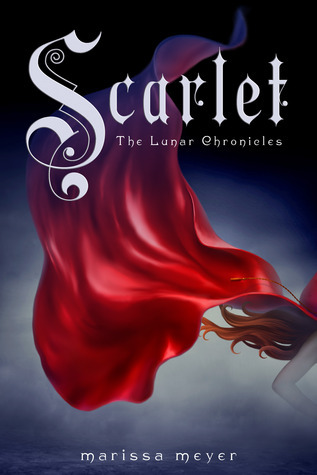 Book 2, is about Scarlet trying to find her grandmother.. with help from a man named Wolf. There are twists. We still have lots of Cinder in this book (yay!) but lots of Scarlet and Wolf (double yay!). I can’t wait to read book 3 – Cress. I own it.. I am just not there yet. There are a lot of good things about this series.. it is fun, something completely different from anything else I have read, the world is cool.. I like visiting here. I like how Marissa Meyer has intricately weaved her characters together.. their pasts, their presents, and their futures. It is cool. I don’t even know what else to say. What books did you read in April? Did you like them? 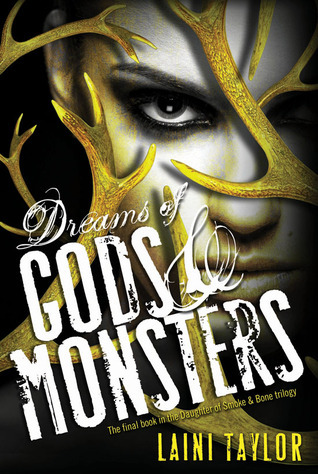 This entry was posted in Book Reviews and tagged april, books, chimaera, classic, cyborg, dragon, dreams of gods and monsters, fairy tale, future, hate, horns, joe hill, jrr tolkien, Laini Taylor, love, marissa meyer, read, reading, retelling, scarlet, stars, tash aw, the hobbit, tiger. Bookmark the permalink.